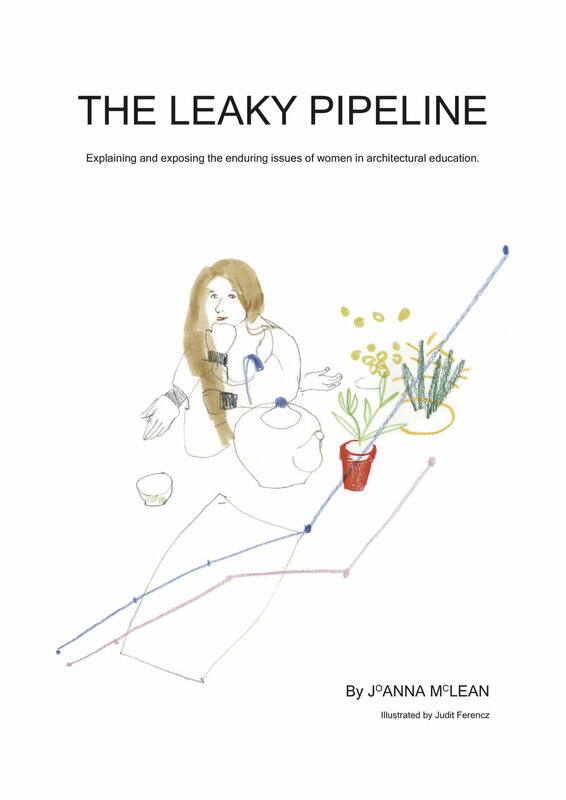 The Leaky Pipeline: Explaining and exposing the enduring issues of women in architectural education. To contribute towards the wider body of feminist activism, my final Year 3 research dissertation sought to actively explore and expose the enduring issues of women in architectural education and 'The Leaky Pipeline Effect’. In essence why so many women drop out of architecture; a conversation which reflects the wider discussions of collaboration, equality, inclusivity and of course our system of architectural education. My research indicated that a key problem with feminist discussion, particularly in education, is lack of visibility, accessibility and integration. My mission has therefore been to tackle some of these issues through my enquiry by conversing and disseminating my research as opportunities such as these arise, in hope of catalysing critical conversations about the enduring gender issues in architecture.